I took one week off early this month to fly back to Japan for my vacation. This was my first time in 4 years that I visited my family in Japan, and I spent most of my time in my hometown Niigata. It is so weird that, while certain things were just the way I remembered, other things looked so different from what I had in my mind in all these years of being away from the country. The thing I really enjoyed there was the food! There are many kinds of food I had missed for all these years, but what I missed most was the Mos Burger, a national fast food chain known for its finest quality burgers. While you can find fine quality burgers in other parts of the world (and certainly in the US), Mos Burger has such a distinct and sophisticated taste that in my mind it ranks one of the highest among all the burger stores I’ve tried. So, if you have a chance to travel to Japan, I would certainly recommend you give Mos a try. My personal favorite is the Mos Cheese Burger. Of course, there are other kinds of good foods in Japan such as Ramen noodles and Sushi. My only regret is that, because I only had one week to spare, I didn’t have time to stop by Tokyo to see folks there. One week was way too short for this. For my next trip back to Japan, I’d like to take at least two weeks off so that I can spend some days in Tokyo. Anyway, I took a bunch of pictures while I was there, and these are just some of them. I hope you enjoy. Keisei Rapid Liner from Narita Airport to Tokyo station. 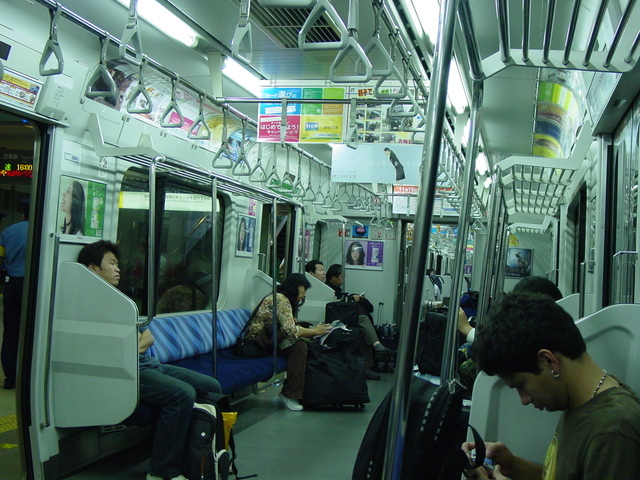 While the fastest way to get to Tokyo from Narita is via Narita Express, Keisei Liner is probably a good economical alternative and reasonably convenient. 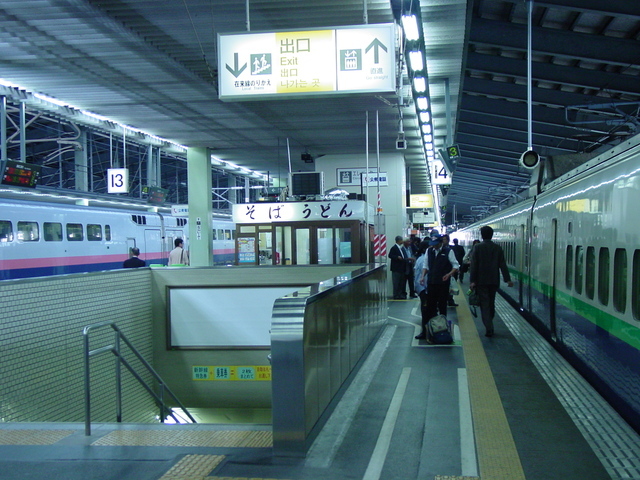 It takes roughly 1.5 hours to get to Tokyo station from the airport without transfer. 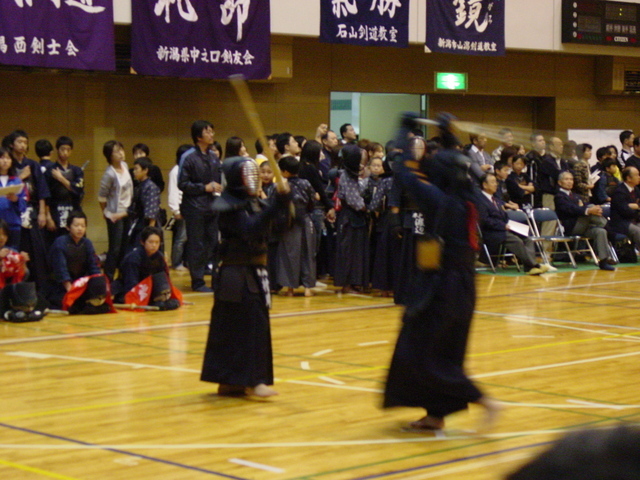 Kendo tournament was taking place in my home town while I was there. 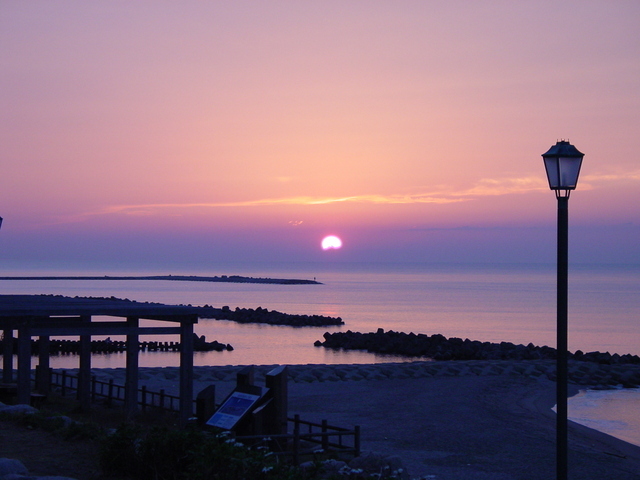 A magnificent view of the sunset at Sea of Japan. The place I stayed at is only 10 minutes walk from the beach. 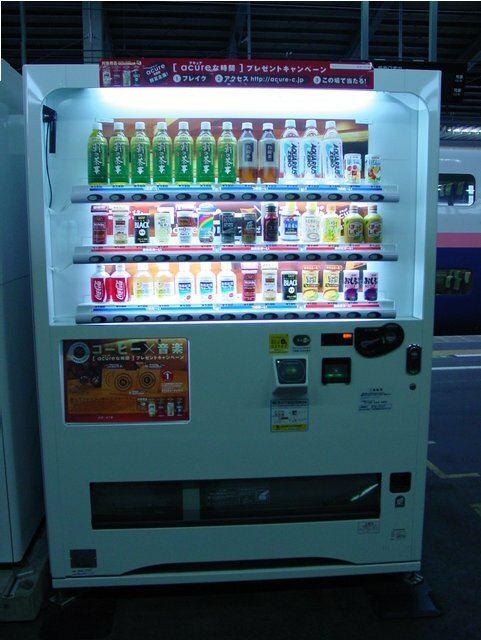 This is one of many infamous vending machines that you see all over Japan. You can think of this as something equivalent of water fountains in the US in terms of its distribution density, though there are certainly more vending machines in Japan per unit area than water fountains in the US. On the platform for Shinkansen (the Bullet Train) at Niigata station. 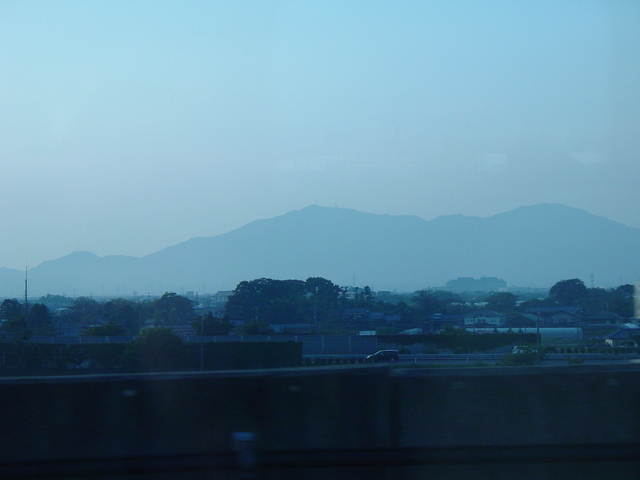 A view from Shinkansen overlooking the outlines of local mountains. 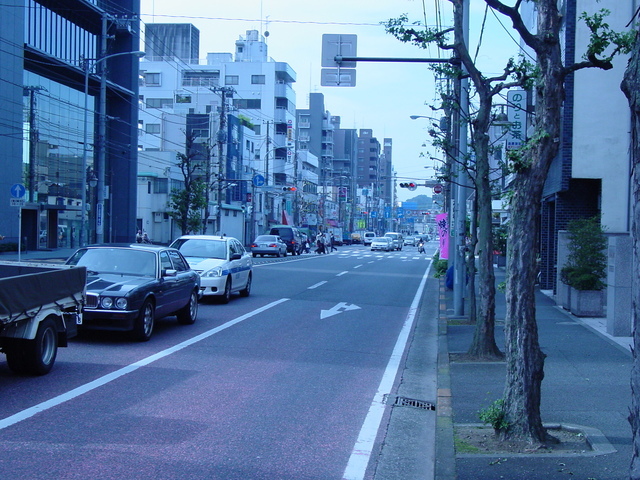 A somewhat busy street in Yokohama. Luckily you don’t need to drive as much in the metropolitan areas thanks to the large train network available throughout the areas. One thing I’ve noticed is the large number of light-weight vehicles (aka Kei cars) with the engine size less than 660 cc. Since owning a car in Japan is pretty expensive, lots of drivers opt to own a Kei car for its lower cost of ownership. 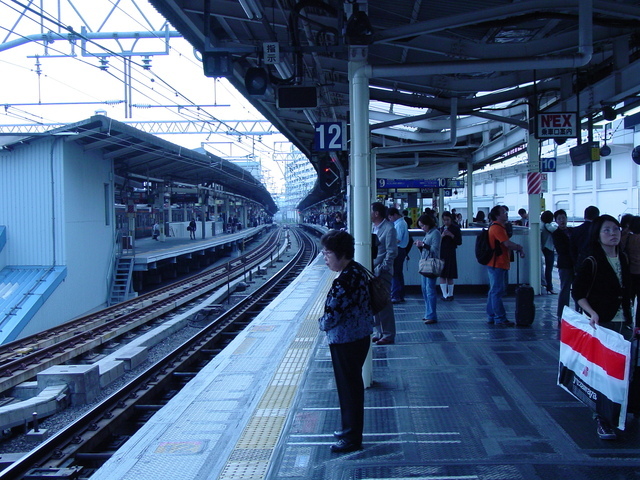 A platform at a local station in Yokohama, waiting for my train. 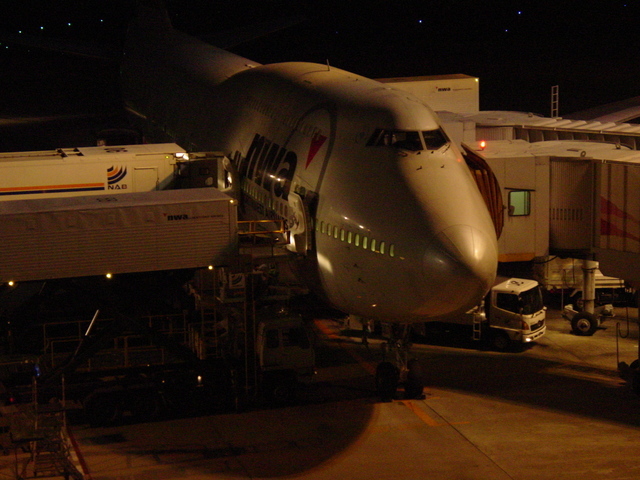 A view of airplane from Terminal 1 at the Narita Airport. I was stranded there for 6 hours since my return flight to Newark was delayed. Continental airline provided a meal coupon to compensate for the delay, though it was a JAL employee who was manning the check-in counter for Continental and gave me the coupon. Next Post This is valid C++ code?